The Livonians are unique not only because of their language and history, but also due to their rich cultural heritage. Learn more about it in the Traditional Culture section. The Livonians have continued to develop their culture in modern times. Their contemporary art, music, and literature traditions stretch back for nearly 200 years. Learn more about Livonian culture in the present in the Contemporary Culture section. Jāņ Belte. Nameless. 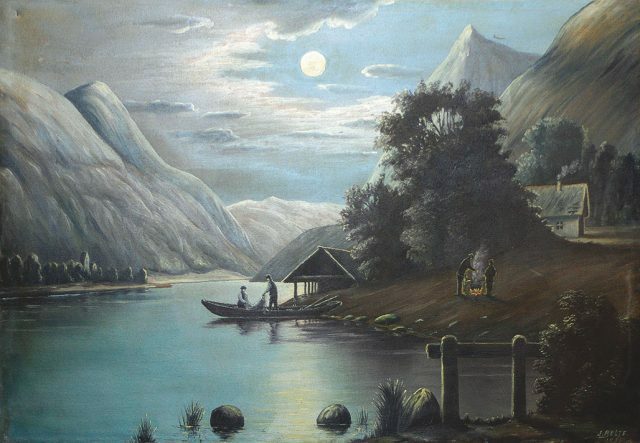 Oil, canvas, 1938.